Flipboard Hundreds of Coca-Cola workers are camping out at a major bottling plant until they get a raise. More than 8,000 Walmart employees were prepared to walk off the job, until management met some of their demands.And 30,000 striking factory workers have finally returned to work after a month-long strike. Workers are organizing at unprecedented rates along the border — in Mexico. Since January, thousands of factory workers have been striking for higher wages in Mexican border cities, which are home to hundreds of factories run by US companies and subcontractors. Factory workers, who generally earn about $2. 50 an hour , make car parts, washing machines, appliances, and even soda for American consumers across the border. Workers are angry with their employers for paying them poverty wages, but they’re also upset with their labor unions, which are often controlled by businesses and government officials. So far, union officials have been unable to stop the strikes, which began in January in Matamoros, an industrial border city that sits across the Rio Grande from Brownsville, Texas. #comparte #parolaboral #Matamorostamps . Trabajadores de más de 45 plantas salieron a las calles de Matamoros a exigir que se les dé un aumento salarial y un bono anual que por derecho les corresponde, han comenzado un paró laboral, amenazando con ir a huelga. pic.twitter.com/2lxUte2Eor — Carlosm7 (@Carlosm56510630) January 17, 2019 The strikes have been so successful that they’ve sparked what is now called the 20/32 Movement, based on the 20 percent pay raise and 32,000 peso annual bonus (about $1,600) that striking factory workers in the city initially demanded, and eventually won. The movement is now spreading beyond factories in the border region, with cashiers at US-owned supermarkets and fast-food chains demanding raises too. That includes Sam’s Club stores and Walmart stores. The weeks-long strikes have caught business groups and employers off guard. The Mexican government and labor unions have long controlled the workforce with an iron grip, immediately quashing labor unrest by jailing workers who go on strike. It’s just one of the reasons why wages in Mexico remain among the lowest in the developed world — a setup that US companies have encouraged. But that’s all starting to change because of two people: Mexico’s new populist president, Andrés Manuel López Obrador, and US President Donald Trump. Despite their significantly different stances on policy,both presidents share the view that Mexican labor laws need a major overhaul to make free trade between both nations work. And, somewhat ironically, it was López Obrador’s recentdecision to hike the minimum wage that triggered massive strikes. Raising the minimum wage was unprecedented In December, López Obrador fulfilled one of his campaign promises: he raised the national minimum wage. The 16 percent increase, which went into effect in January, raised the wage floor to about 0.60 cents an hour. To be clear, that’s still a pretty bad rate. AMLO simply raised the minimum to keep up with the cost of feeding a family of four. The new minimum wage just ensures that people don’t starve to death, and it’s certainly not enough for families to pay rent or buy anything else, really. But it was still seen as a major win for workers in Mexico, who on average earn about $12.50 a day. As part of this new policy, AMLO created a separate minimum pay rate for workers in the border region, where about 2 million people work in factories, or maquilas, owned by multinational corporations. The new minimum wage in border states is about $1.1 an hour —double what it was before. To help offset the cost to employers, AMLO included a tax cut for businesses along the border. Javier Zarracina/Vox But here’s the thing: Factory workers in cities like Matamoros were already earning about $2. 50 an hour, so the change didn’t benefit them at all. 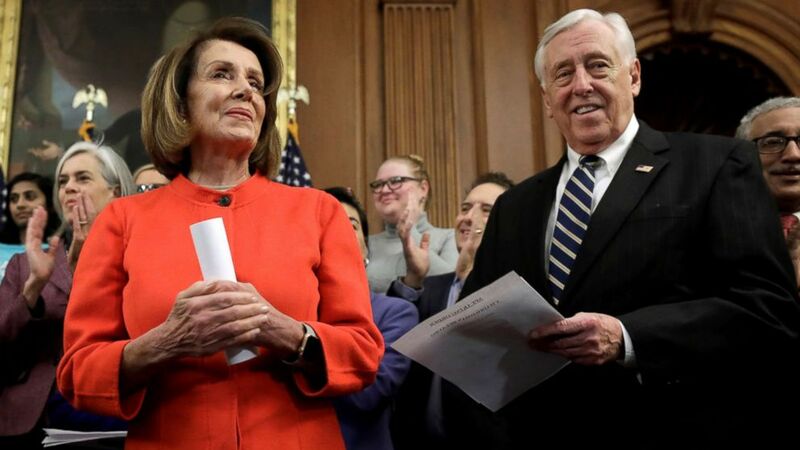 They, too, insisted on getting a raise along with minimum-wage earners,and many of their labor contracts actually stipulated that they would get raises and bonuses based on changes to the minimum wage. Which meant that their salaries should have doubled to about $5 an hour because the minimum wage had doubled. But the maquiladora industry in Matamoros, and the Day Laborers, Industrial Workers, and Maquila Industries Union, which represents most factory workers in the city, said such a wage hike was too much. So two weeks after the new wage laws went into effect, on January 1, about 30,000 workers went on strike. Their demand: a 20 percent raise and a 32,000-peso (about $1,600) bonus. Business groups were outraged. The Mexican Employers Federation called it a “ crisis .” The local chamber of commerce said the city would lose 20,000 jobs . Factories threatened to close. Workers blocked access to their work sites, essentially shutting down 45 factories for several weeks. By February 9, something unexpected had happened : Managers at 45 factories agreed to employees’ demands, and their 30,000 employees got the raises and bonuses they asked for. At least two factories, including a Chinese automaker, decided to move elsewhere, and fired 1,500 people. That didn’t discourage workers. In fact, strikes have started to spread to other Mexican border states , including Coahuila; Reynosa, Tamaulipas; Agua Prieta, andSonora. Coca-Cola workers are still striking. Walmart barely avoided a work stoppage. Hundreds of workers at one of Coca-Cola’s largest bottling and distribution plants have refused to go to work for almost two months, demanding the same 20 percent increase with a $32,000 peso bonus. Many have been camped outside the facility in Matamoros, blocking strikebreakers from entering and bringing production nearly to a halt. 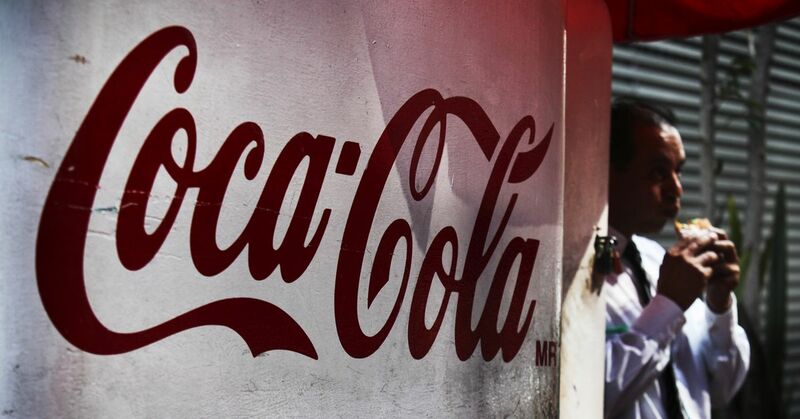 The Coca-Cola bottling plant, Arca Continental, is one of the few employers in the state of Tamaulipas that have not agreed to workers’ demands. On Tuesday, employees put on their uniforms and gathered outside the sprawling facility to continue the strike. Some had slept on mattresses on the sidewalk, according to video posted online by Susana Prieto Terrazas , a labor lawyer who is helping organize the strikes. “We’re going to stay here as long as we need to,” said one of the workers standing outside. Their homemade signs accused the company of taking advantage of them. “If they punch one of us, they punch all of us,” read one of the signs. A spokesperson for Coca-Cola in Mexico told me that the company agrees with the way the Arca Continental, which runs the bottling plant, is handling the strike, but didn’t say whether or not Coca-Cola supports the workers’ demands. “We are closely following the evolution of the situation, and we trust that it will be solved as soon as possible, always seeking for the welfare of our collaborators,” Lorena Villarreal Clausell, communications director for Coca-Cola Mexico, wrote in a statement to Vox. While factory workers have been at the forefront of the labor unrest, frustration has started to spread. In February, a labor union representing 8,000 Walmart and Sam’s Club employees said they would go on strike unless the company agreed to the 20/32 demands. Workers complained that Walmart made them work long hours and didn’t pay them overtime as required by law. They also accused managers of discriminating against pregnant women, and not enrolling some workers in their health insurance and retirement programs, according to the Revolutionary Confederation of Laborers and Farmworkers union, which represents employees at about 180 Walmart and Sams Club stores in 10 states in Mexico. “We, the workers of Walmart, have started a movement to reclaim our rights,” the union stated in a video announcing the strike earlier this month. 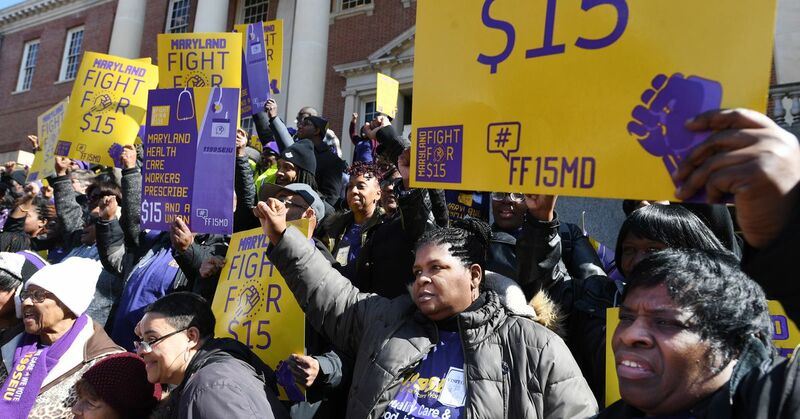 “We’re fighting for better salaries, a percentage of sales, to prevent layoffs and for the respect of human rights.” That includes janitors, cashiers, pharmacy clerks, and warehouse workers. Last year, workers at Walmart stores across Mexicoearned between $4.81 and $8.83 a day, according to Reuters . En la #CROC damos el respaldo a los compañeros trabajadores de las tiendas Walmart. El apoyo a nuestros compañeros agremiados se realiza a nivel nacional. pic.twitter. com/EXNrlCoG4C — CROC (@CROC_Nacional) March 2, 2019 The strike was set to begin last week, but the company reached an agreement with the union at the last minute. They would give employees a 5.5 percent raise and a productivity bonus — far less than they asked for, but enough to avoid a strike. The relative success of these strikes has a lot to do with politics. López Obrador’s administration is not cracking down on workers Mexico’s new president and other members of his populist Morena party have political control in Mexico right now, after taking both chambers of Mexico’s Congress for the first time this year.In the past, employers could count on the federal and state government to intervene in labor strikes, which often led to brutal crackdowns on workers. Unions rarely sided with the workers they are supposed to represent. But López Obrador and his allies in Congress are making it a point to remain neutral. They have been encouraging negotiations, but so far have refused to take punitive action against workers. Mexican President Andrés Manuel López Obrador leaves a Spanish-language church in New York City when he was campaigning for the presidency on March 13, 2017. Andres Kudacki/AP “The businesses class also needs to take direct responsibility for this, they need to be more socially responsible toward workers, with the communities where they operate and with the environment,” said Sen. Napoleón Gómez Urrutia, during a press conference last week, according to El Milenio newspaper . “This is part of our national politics and the new union movement we are promoting, there has to be economic justice for there to be a peaceful labor environment.” The administration’s pro-labor policies will inadvertently help an unlikely ally: President Donald Trump. Mexico must pass new labor laws for the trade deal to go into effect In November, President Donald Trump announced that he had accomplished one of his campaign promises: he had reached a deal with Canada and Mexico to replace the North American Free Trade Agreement , or NAFTA. Under the new deal, known as the USMCA, Mexico has promised to pass laws that will guarantee workers the right to form unions and negotiate their own labor contracts. Right now, workers in Mexico have the right to unionize, but they are often left out of the negotiating process. US manufacturers — and most other companies — end up dictating the terms of the contract with labor unions to their own benefit, without any input or approval from employees. Workers have also reported retaliation from employers when they try to create a labor union. 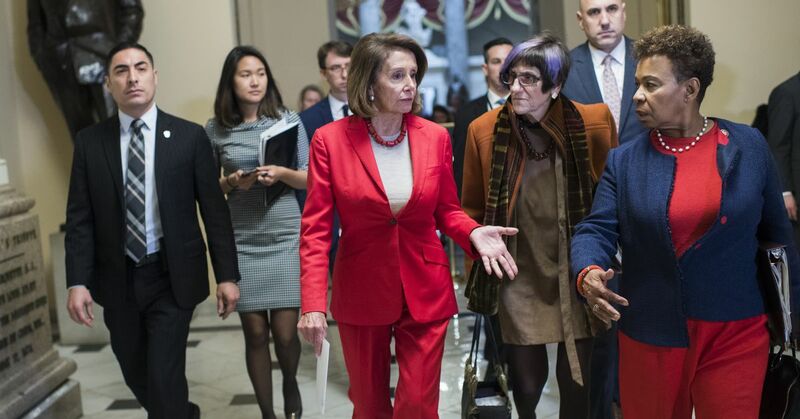 Trump still needs Congress to ratify the pact, which will likely face some resistance from House Democrats. Mexico and Canada will also need to get their lawmakers on board. President Trump shake hands with Mexico’s Foreign Minister Luis Videgaray Caso as he arrives to speak on trade in the Oval Office on August 27, 2018. Mandel Ngan/AFP/Getty Images Trump had repeatedly railed against NAFTA for decimating the US manufacturing industry. When the trade pact was enacted in 1994, labor unions worried at the time that allowing goods to cross the border untaxed would give US manufacturers too much incentive to move factories and jobs to Mexico, where wages were very low and environmental standards more relaxed. Proponents of NAFTA pushed back against that idea, saying that boosting trade would raise wages for low-skilled Mexican workers, pulling millions out of poverty and making it less attractive for companies to move factories to Mexico. But that definitely didn’t happen. Competition from US farms was largely responsible for putting more than 1 million farmworkers in Mexico out of work, and the unemployment rate in Mexico is higher today than it was back then. On top of that, wages for workers in Mexico have hardly budged. The labor reforms in the new deal are supposed to increase wages for Mexican workers, to give US companies less of an incentive to move manufacturing jobs south of the border. Aside from giving workers a voice in collective bargaining, the USMCA would also require Mexico to pass a law extending labor protections to migrant workers, many of whom come from Central America and are vulnerable to exploitation. The “ new NAFTA ” would allow the United States, for example, to file labor complaints through the regular dispute resolution system, but only if it involves labor violations that are harming US trade. They can bring the complaint before a commission of government labor ministers from each country, but only after exhausting all efforts to mediate the issue and resolve it separately. It seems like a long, painful process that could take months to complete. But it’s better than the nonexistent process to deal with labor violations under NAFTA. And it would require each country to take an aggressive, hands-on enforcement approach. The most challenging part will be enforcing a specific provision in USMCA that mandates that 40 to 45 percent of a car’s parts must be made by workers who earn at least $16 an hour to avoid tariffs. That means that many Mexican factories that make parts for US car manufacturers would have to pay eight times what they currently pay the average factory worker. Or auto manufacturers would simply need to buy more car parts made in the United States, where wages for factory workers are much higher. The trade deal does not mention how the US government would even know what companies across the border are paying their workers. It’s not clear how the Mexican government would know, either. But López Obrador is making some changes that align with USMCA, and lawmakers are expected to introduce the rest of the required proposals this spring. As a populist president whose political party now controls both chambers of Mexico’s Congress, it shouldn’t be hard for López Obrador to pass those reforms. Until then, the current labor unrest in Mexico will likely continue to spread..